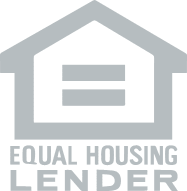 Jumbo loans are loans with high enough balances to not conform to the loan limit requirements of Fannie Mae and Freddie Mac. Reserved for higher cost properties, jumbo financing is your loan when your principal exceeds $679,650. We will lend to our borrowers a maximum of $3,000,000 with jumbo financing. 2. Credit score requirements. You will need a higher credit score to get a jumbo loan, and your credit score has a greater impact on the loan terms. The minimum credit score is 650, and the best loan terms will be found with scores over 800. 3. Reserve requirements. Every jumbo loan will require some amount of reserves. Reserves are cash that you have left over, after purchasing, that you retain. There are very many options when considering jumbo financing. You will find adjustable rates with start rates lasting from three to ten years, and fixed rates with amortizations of ten to thirty years. We can sometimes surprise our clients by showing them that the adjustable rates that we have with jumbo financing can be lower than conforming interest rates. Interested in getting the best deal on a jumbo loan? The more money down, the higher the credit score, and the more reserves you have, the better the terms you will get. I can help you decide on the down payment amount versus the amount of funds you should retain afterwards, to get you into the best terms.